Teachworks is currently only available in English, but we understand how important it is for companies to be able to reach out to their customers in their first languages. For this reason, we’ve added several features that allows you to translate certain aspects of Teachworks. In addition to changing the appearance of invoices, this add-on also lets you customize all the labels that appear on invoices and credit notes. 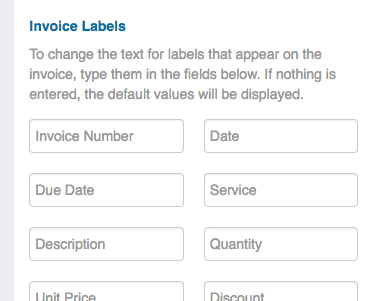 You can use this add-on to easily translate the invoices that you send to your customers. While it isn’t currently possible to translate the entire Teachworks interface, it is possible to modify certain terminology used throughout the software. On your account settings page, you will find a “Terminology Settings” section where you can customize the terms used for different user roles and calendar events. You can use these settings to translate the terms used for “Teacher”, “Employee”, “Student”, “Family” and “Event” to your preferred language. Adding your unique spin to each message that’s sent to your customers and employees is essential. For this reason, we’ve made it very simple to customize email notifications in Teachworks. One big benefit of fully customizable notification emails is that you can compose informative emails in your customers’ native language. 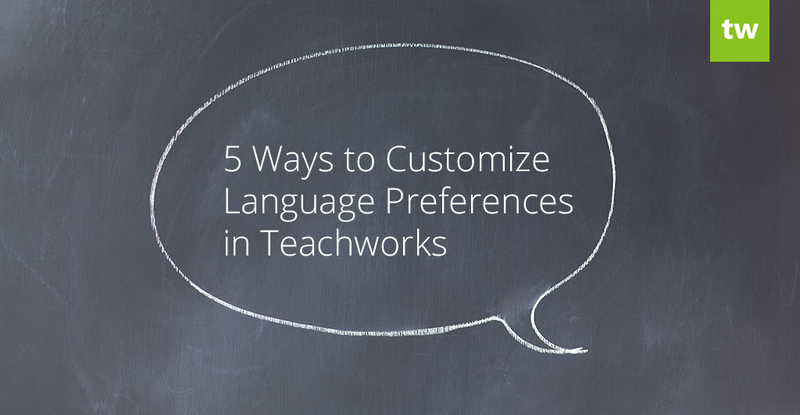 Teachworks currently offers two SMS features – each with customizable templates that you can translate to a language of your choice. Welcome SMS: this add-on allows you to send a customized message with key information to welcome new customers and employees to your company. SMS Lesson Reminders: this add-on allows you to send a customized text message to customers and employees to remind them of their upcoming lessons. Our Custom Forms Add-On can be used to manage new student enrollments and employee applications. Each field that you add to your form has an editable label that’s perfect for translation purposes. Our lists of features is always expanding based on the feedback we get from our customers. If there are any translation features that will make your life easier, please let us know! « Custom Invoices & Other New Features!